I will go over land and tell of it. I will traverse it until I know it right well. know from the inside out, it’s how I knew your face. the prairie stretches out all ways, by silo and barn, field and track. break it again, awaken again, to light of longer days. in the field, in my car on the highway, acre upon acre of flatness harvested. Tell me again how you wish you had a piece of land? A hectare? An acre? you’d never met, someplace you’d never been before. Land’ll do that to you. Make you better, for just knowing it. 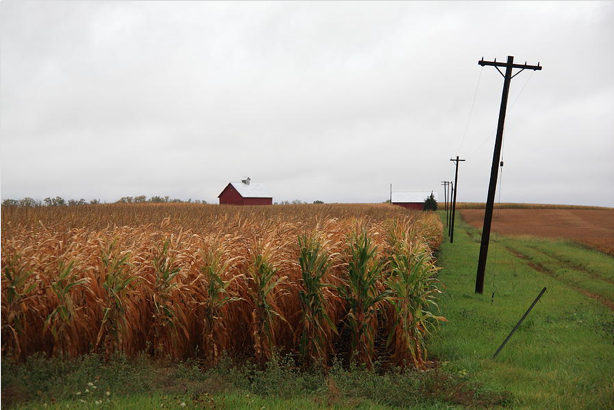 IMAGE: “Illinois Cornfield” by Frank Romeo. Prints available at fineartamerica.com. NOTE FROM THE AUTHOR: I am the granddaughter and niece of Illinois farmers. I remember once a woman told me Illinois was the ugliest state she had ever driven through. 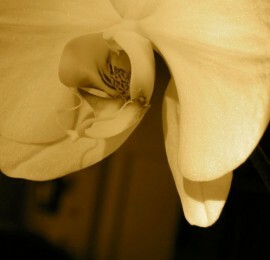 I told her, “You’ve gotta have the eyes to see its beauty,” but she remained unconvinced. I traveled once to the interior of Brazil, near the Sertão. The soil there looked like lunar soil, it was so depleted from years of drought. When our Brazilian friends arrived here, they could not believe the richness of the soil. I never looked at the dirt in Illinois the same again. Plus, the autumn sunsets? They are something to behold, unobstructed, vibrant, amazing. 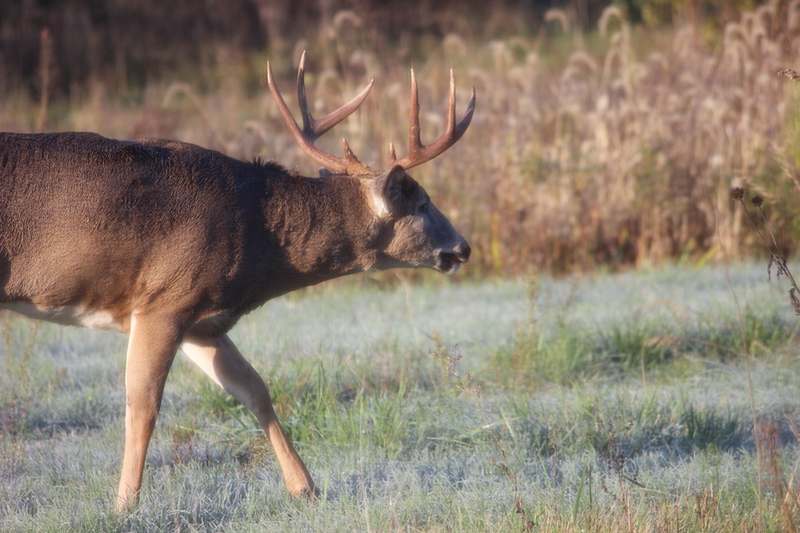 PHOTOGRAPH: “Buck in Backyard” by Susan Baller-Shepard. ABOUT THE AUTHOR: A graduate of the undergraduate Writer’s Workshop at the University of Iowa, the award-winning writing and poetry by Susan Baller-Shepard has appeared in the Chicago Tribune, the Washington Post “On Faith,” Spirituality & Health, Writer’s Digest, Outrider Press Black and White series, and other publications. 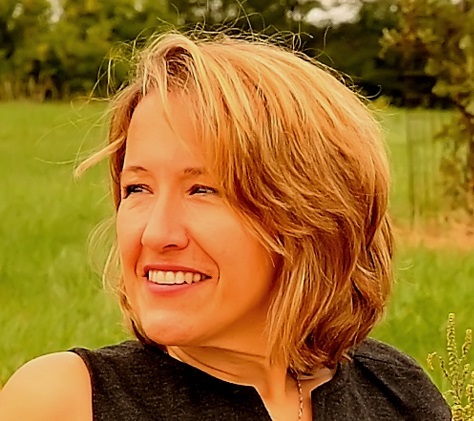 She writes for the Huffington Post, edits SpiritualBookClub.com, and her poetry can be heard on WGLT’s Poetry Radio. In a warm kitchen, with the scent of baking bread, Susan’s grandmother Mabel Lake Baller recited poetry, illustrating words could be food, filling what was hungry. On December 1, 2014, we’ll launch the Silver Birch Press I Am Waiting Poetry Series. (Submissions accepted through December 31, 2014 — for guidelines, visit this link.) The series is an homage to poet Lawrence Ferlinghetti and his poem “I Am Waiting,” which first appeared in A Coney Island of the Mind — his 1958 collection that, with over a million copies in print, is one of the most popular books of poetry ever published. Ferlinghetti’s 96th birthday rolls around on March 24, 2015. To set the stage for the I Am Waiting Poetry Series, today we’ll feature the original. 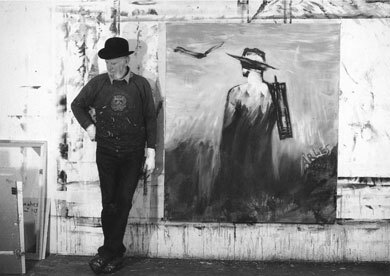 IMAGE: Lawrence Ferlinghetti with a painting from his van Gogh series. This tribute album is both a Vinyl and CD production. The first half contains various readings by poet Jack Micheline transferred from cassette tape mixed in with interview excerpts. The second half includes poets and friends of Micheline’s reading his work, poems in tribute, or sharing remembrances. Over three dozen poets were recorded for this album including: Amiri Baraka, Neeli Cherkovski, steve dalachinsky, S.A. Griffin, Q.R. Hand, Bob Holman, Alan Kaufman, Tsaurah Litzsky, Jessica Loos, Judith Malina, David Meltzer, Eric Mingus, Eve Packer, Yuko Otomo, Anne Waldman, ruth weiss, A.D. Winans, and Eddie Woods. Each version is different (vinyl, CD, download), as they progressively contain more material. The Vinyl is a limited edition of 250 with a gatefold design, 180 gram, colored double-vinyl. The CD is a double-disc with bonus material not included on the vinyl. All vinyl orders include a download of the digital version. 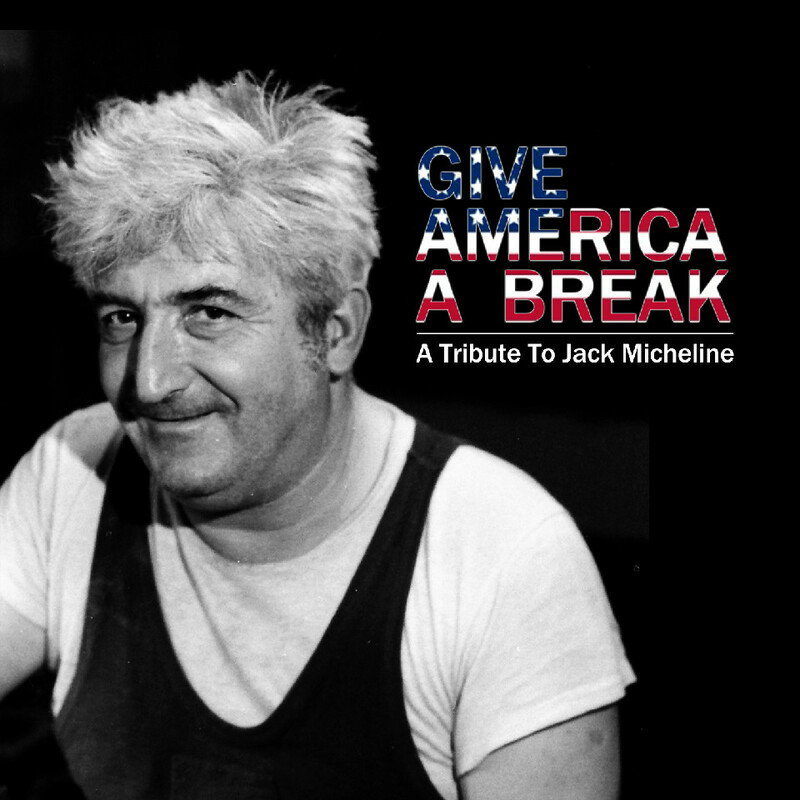 To order Give America a Break: A Tribute to Jack Micheline, visit unrequitedrecords.com. 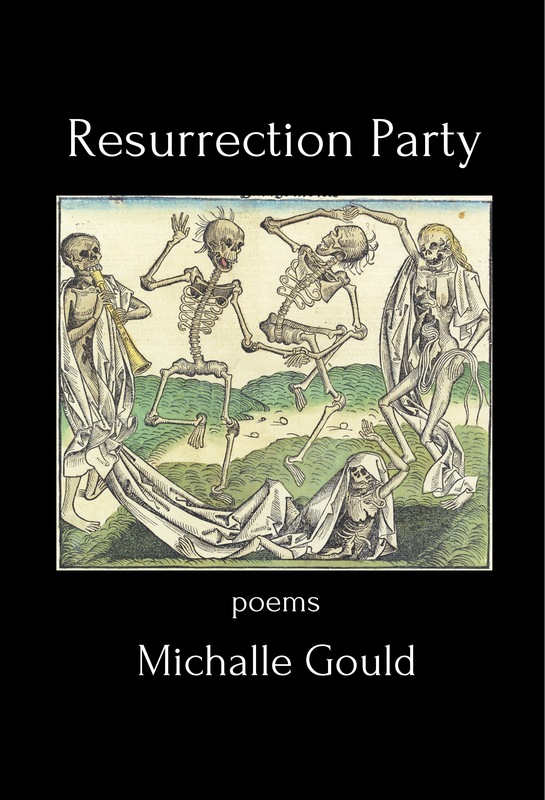 Silver Birch Press is excited to announce the August 17, 2014 release of Resurrection Party, a 74-page collection of poems by Michalle Gould. COVER ART: “Danse Macabre” by Michael Wolgemut (1493). 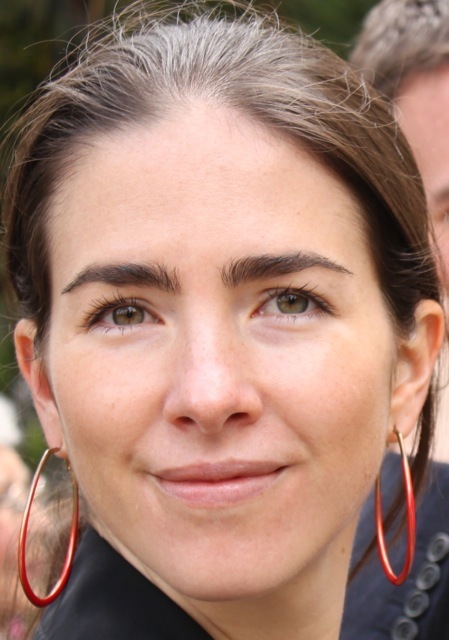 ABOUT THE AUTHOR: Michalle Gould has been working on the poems that constitute Resurrection Party for almost 15 years. 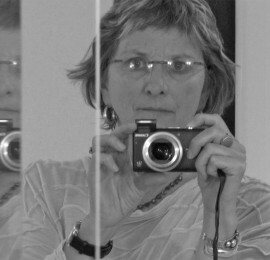 In that time, her poems and short stories have appeared in Slate, New England Review, Poetry, American Literary Review, The Texas Observer, and other journals. She currently lives in Los Angeles, where she works as a librarian, and is in the process of researching and writing a novel set in the North of England during the 1930s. Find Resurrection Party by Michalle Gould at Amazon.com. something you cannot get rid of. can go this far and no further. to which we have brought you? 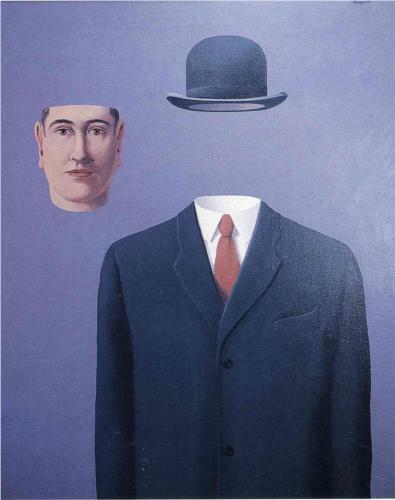 IMAGE: Self-Portrait (The Pilgrim) by René Magritte (1966). ABOUT THE AUTHOR: Robert Cording is the author of several collections of poetry, including Life-list (1987), Heavy Grace (1996), and Walking With Ruskin (2010). 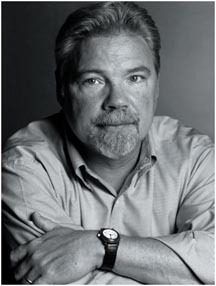 Cording has received numerous honors for his poetry, including fellowships from the National Endowment for the Arts, the Connecticut Commission on the Arts, and the Bread Loaf Writers’ Conference. He has served as director of From the Fishouse and was poet-in-residence at the Frost Place. The Barrett Chair of Creative Writing at the College of the Holy Cross, Cording lives in Woodstock, Connecticut. I walk to my sea. I long for unbroken shorelines, mourn what is lost. A seahorse lies stiff in my hand. The tide takes my name. Manta rays fly into view, ghost of shark joins the flock. in tide pools holding an entire world. My pen scratches watermarks on broken shell. carry my petition to tender anemones. SOURCE: “Self-Portrait” appears in The Landscape Between Us by Catherine Ferguson and Piper Leigh, available at piperleigh.us. IMAGE: “The Landscape Between Us” by Piper Leigh, ALL RIGHTS RESERVED. 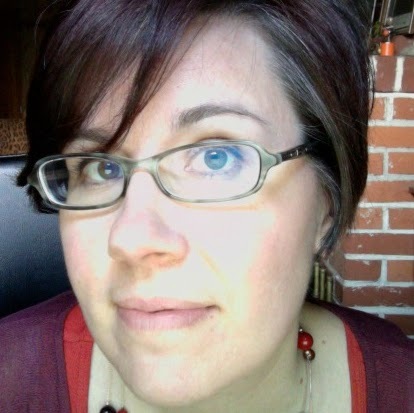 ABOUT THE AUTHOR: Piper Leigh is an artist, author, photographer, and bookmaker. Her book of poetry and photography my thin-skinned wandering was released by Tres Chicas Books in 2011. Founder of the consultancy Comunica — where she fosters innovation, learning, and experimentation through creative meetings and workshops, leadership training, and strategic planning — she is the author of the book series Art & Science of: Courageous Conversation, Meetings, Innovation. For a complete list of her books, visit piperleigh.us. Author self-portrait by Piper Leigh, ALL RIGHTS RESERVED. like a bell rung backwards. 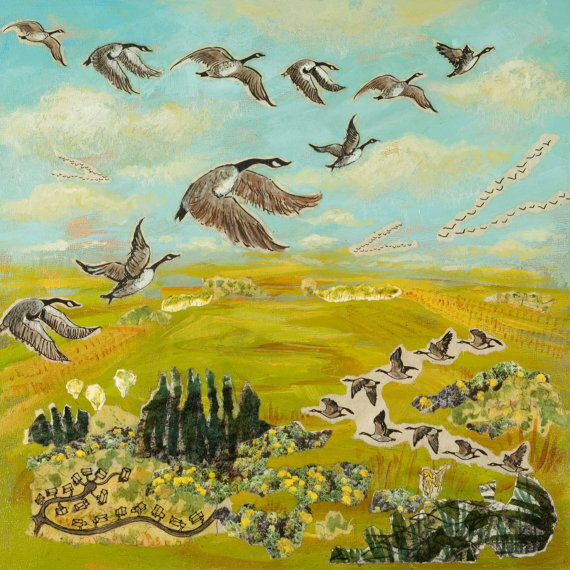 IMAGE: “Wild Geese,” art print of original collage by Laura Wooten Studio. Prints available at etsy.com. 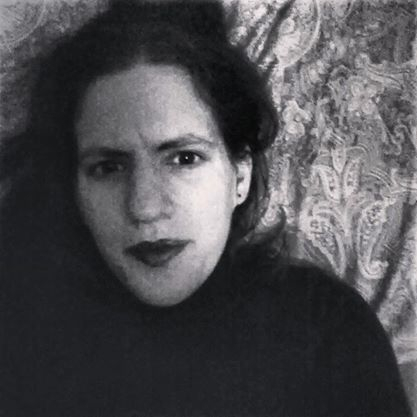 ABOUT THE AUTHOR: Daneen Bergland‘s poems have appeared in Denver Quarterly, Cerise Review, and Poet Lore, as well as in the anthology of Pacific Northwest poets Alive at the Center. Her work has been nominated for a Pushcart Prize, received awards from the Academy of American Poets, and earned a Literary Arts fellowship. She teaches in the University Studies program at Portland State University. My hair is like a waterfall, straight with many layers. It is as black as midnight, with bits of brown, as dark as a wet tree trunk. My eyes are as brown as brown, shiny as a coin, big and gloomy, my eyes are. My nose is like a slide, sloping downwards. Bumpy and rough, but smooth also. Medium sized, placed in the middle of my face. My mouth is pink like a faded cherry. Soft and squishy. Like a birds feather. My face is like the sun, light and round. Ovals are crossed with my circle. It’s an Ovacircle. My body’s like a duck, not fat, not slim, it feels like dry straw. Rough and Smooth. My feet are like turtles, slow and steady. Wide like the endless ocean. My hand is big, skinny, and soft. Strong like the wind. 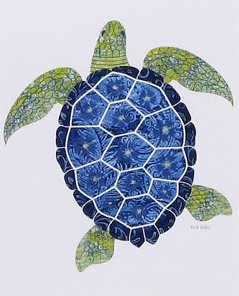 IMAGE: “Blue Sea Turtle” by Coastal Colors Cape Cod. Prints available at etsy.com.